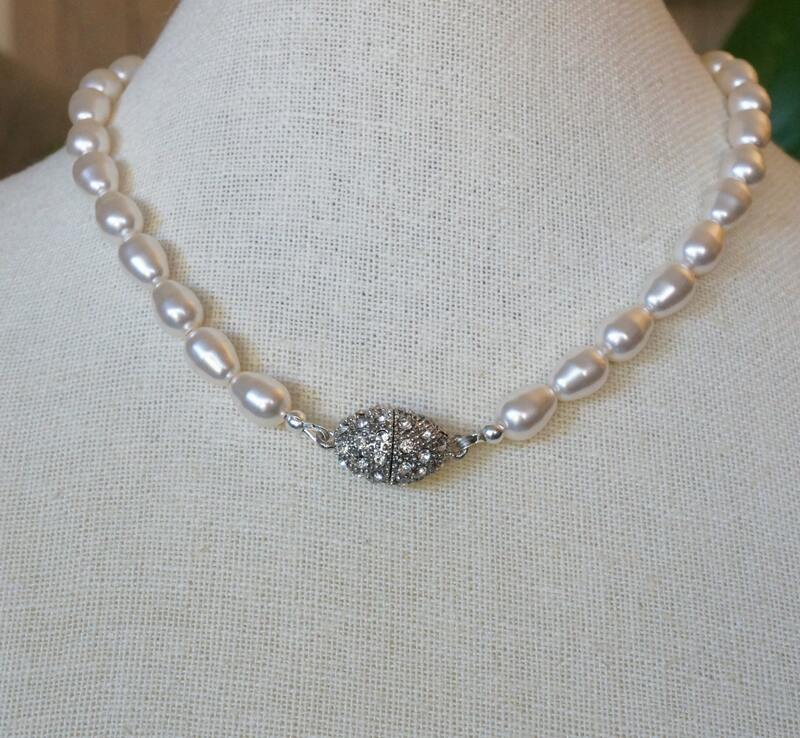 What a magnificent bridal necklace! 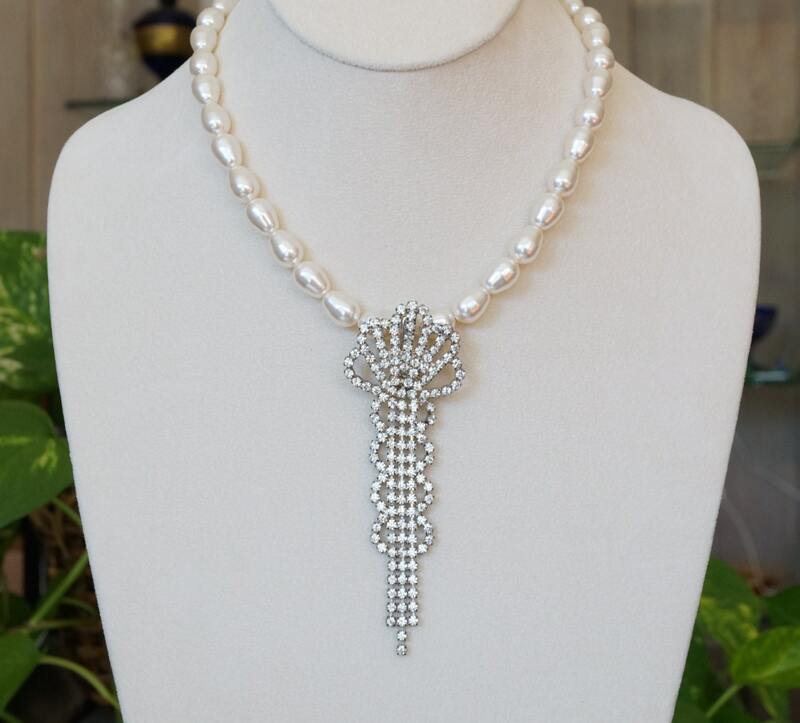 The focal point is the Art Deco style rhinestone pendant with it's dangling stones. It is an upcycled earring that I transformed into a pendant. 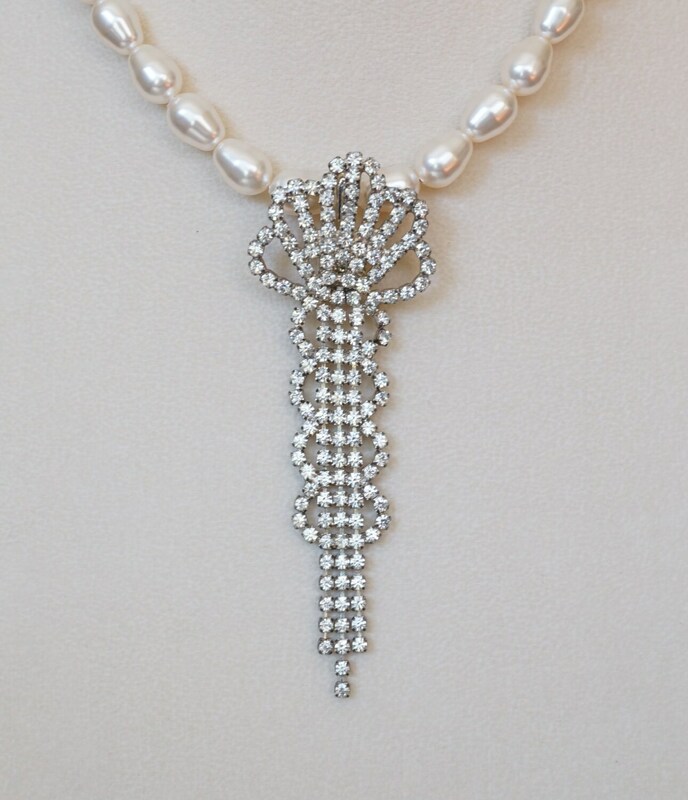 The necklace part is made of Swarovski pearls, pear shaped, in cream rose color. As you can see in the picture, they do not look pink. There must be a hint of it mixed with the cream color. I think this color complements the pendant very well. 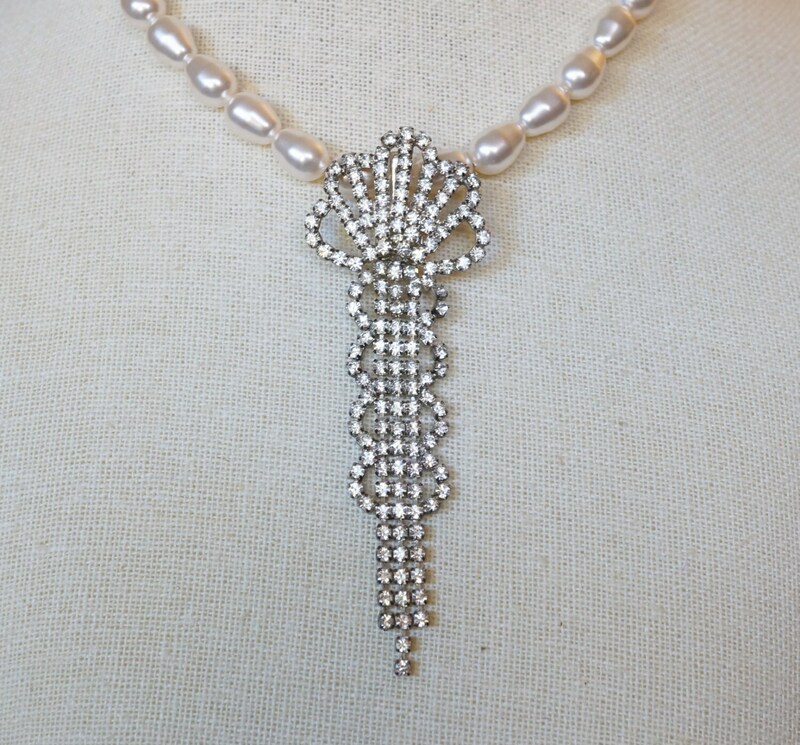 It measures 16.5 inches long, including the pendant. The pendant is 3.5 inches tall, and 1.25 inches wide. 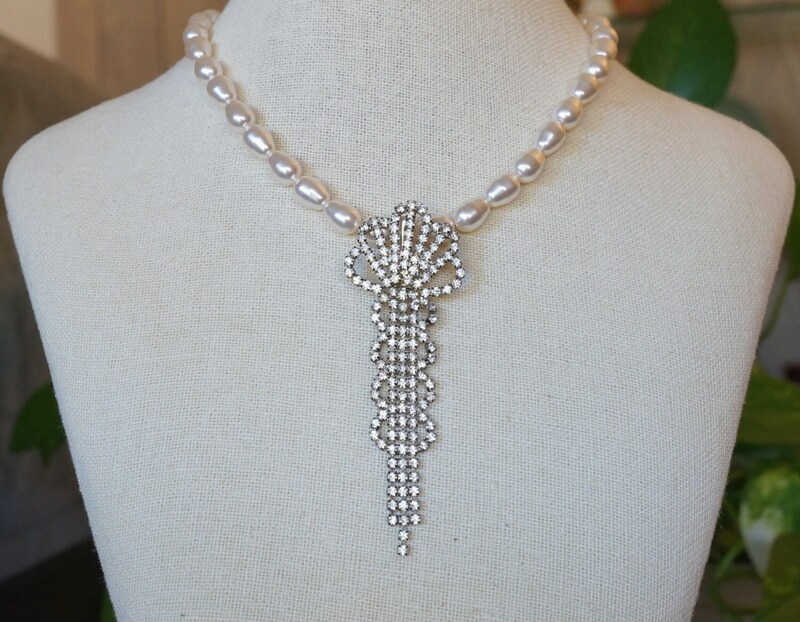 FYI, this necklace can be shortened, if needed, for an extra $10. It cannot be lengthened. Please let me know through a message at checkout.